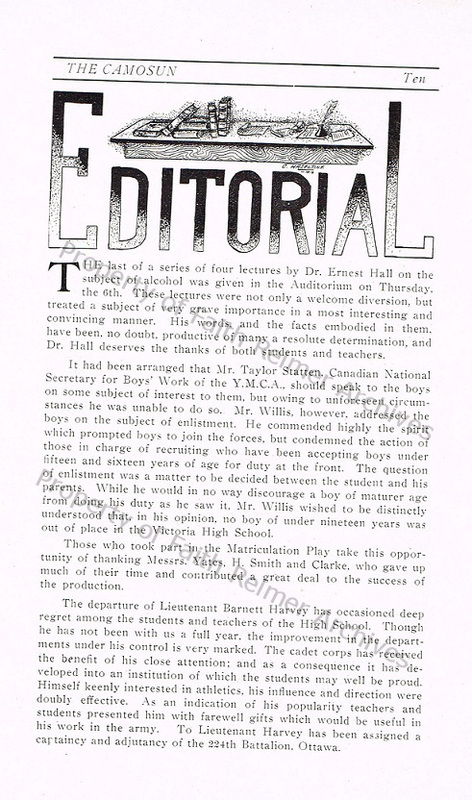 The Editorial of April 1916, asking the boys of the High School about enlistment. Courtesy of Victoria High School Archives. 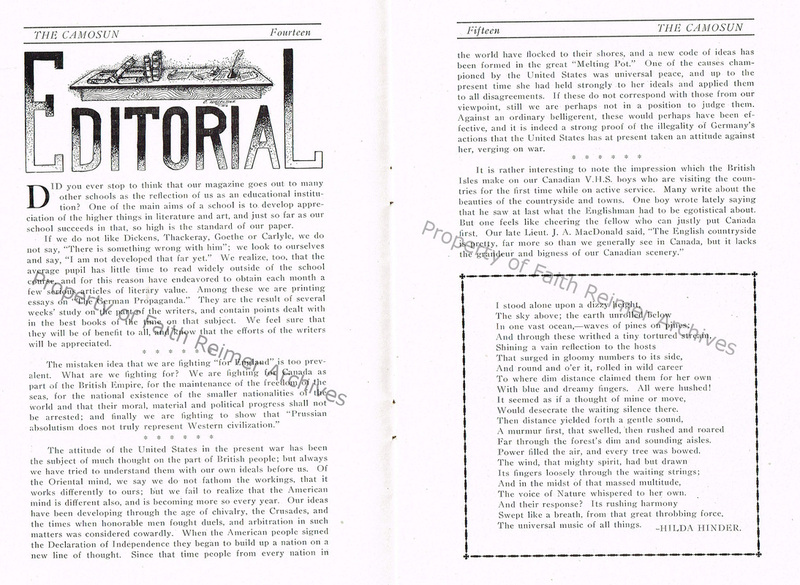 The February 1917 Editorial that describes what Canada is fighting for in the war overseas. 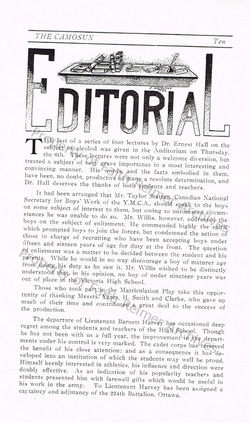 The Editorial from January 1919, which talks about how the school has grown from the war - in tradition and values. 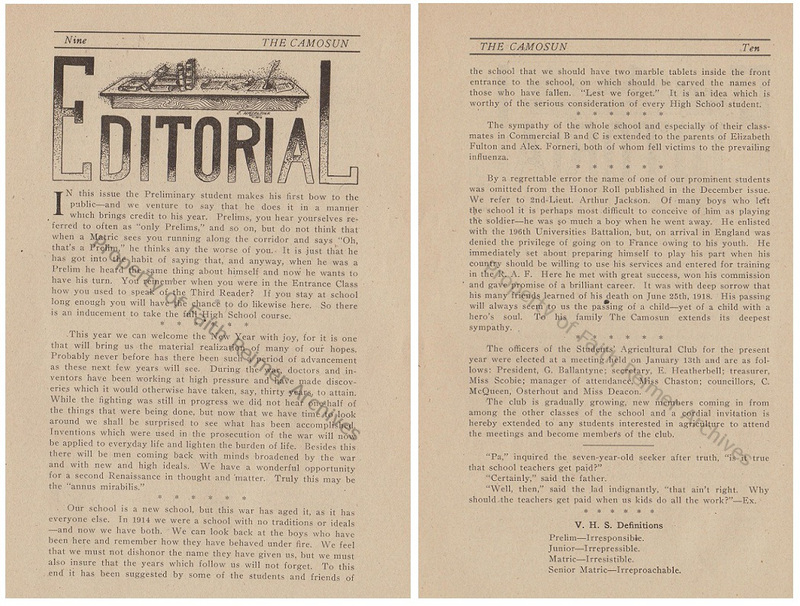 It briefly describes the boys at the front, who had given up their lives, but also apologizes for not including someone in the Service Roll of the previous Camosun.